HomeCinemaMasalaGully Boy Ranveer Singh and his not so Gully Style is Outlandish but All Guns Blazing! 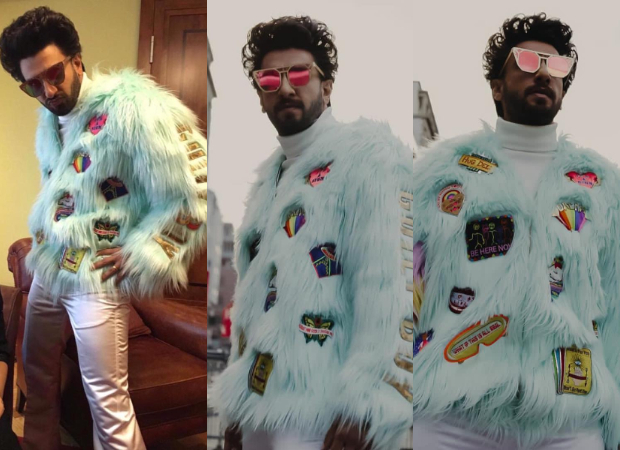 Gully Boy Ranveer Singh and his not so Gully Style is Outlandish but All Guns Blazing! Ranveer Singh, the always high on energy actor never ceases to disappoint us. The actor along with the whole cast of Gully Boy and his director Zoya Akhtar attended the 69th Berlin International Film Festival where the film had a houseful screening! Taking Berlin by storm with his eccentric style game in perfect sync with his infectious personality. His fashion arsenal featured a furry Manish Arora coat and a Tom Ford pink leopard printed blazer! 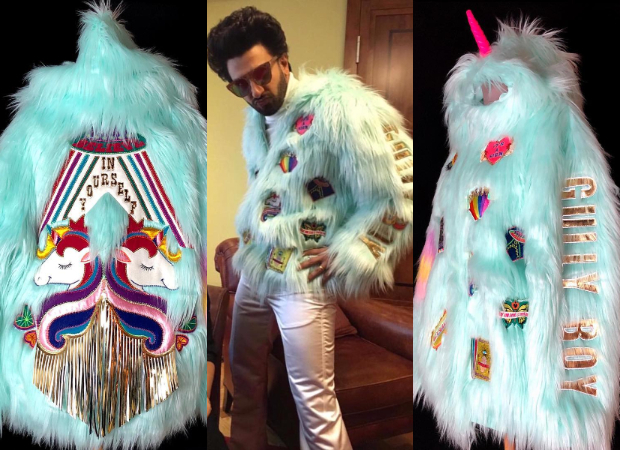 Pulling off a motley of unconventional styles ranging from ethnic, formals, fusion to androgynous, Ranveer has grabbed eyeballs with his one-of-a-kind fashion arsenal. With his fashion stylist Nitasha Gaurav, the maverick behind Ranveer’s always outrageous and versatile avatars, the duo has tamed the word ‘OUTRAGEOUS’ ’ time and again. Over the years now, Ranveer has modelled himself as the contemporary fashion-aware man who can give the runway models and designer’s muses a run for their money. If his head-to-toe prints or overtly bright colors sported in the past had you stumped, we assure eye-popping moments with these recent avatars. 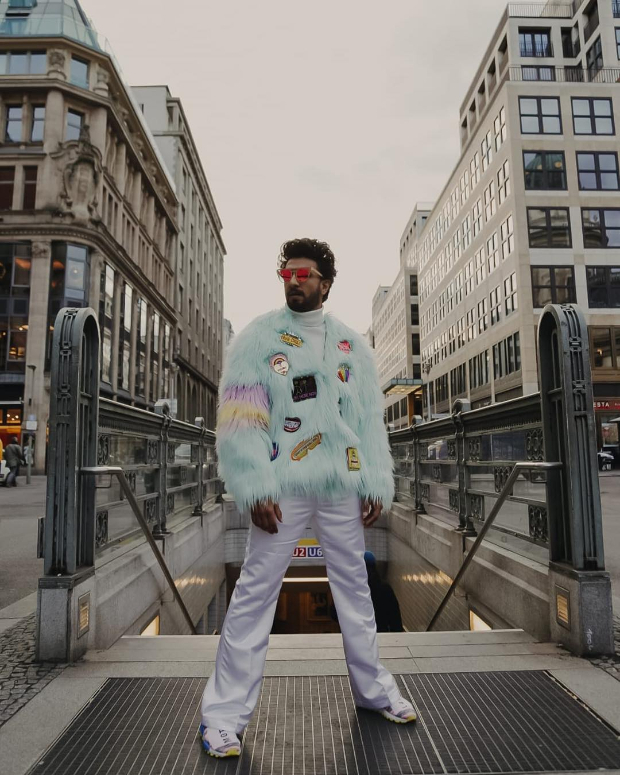 For the press interactions at Berlin, Ranveer opted for a furry coat riddled with quirky badges. This ensemble was teamed with shiny ivory pants, Adidas tee and sneakers, a whacky hairdo and white framed sunnies. Also Read: EXCLUSIVE: Will Ranveer Singh ever play a villain after the menacing act of Alauddin Khilji in Padmaavat? For the Berlinale red carpet, Ranveer layered his all-black look of a high-neck metallic pullover and pants with a hot pink leopard printed Tom Ford jackets day formal shoes. Wide framed glasses, spiked hair and an unmissable sass rounded out his look. Inspired by the underground rap scene in Mumbai, Ranveer Singh plays the lead in this underdog story set in the slums of Dharavi, while Alia Bhatt portrays his unconventional love interest. The film also stars Siddhant Chaturvedi and Kalki Koechlin in pivotal roles. Directed by Zoya Akhtar, Gully Boy is produced by Ritesh Sidhwani and Farhan Akhtar under the banner of Excel Entertainment in association with Tiger Baby and this film on the underground rap movement in India is slated to release on February 14. Beware Girls! Kartik Aaryan is working off that Swag Boy charm this Valentine’s Day! Gully Boy’s Girl Alia Bhatt sets a million hearts aflutter with her Class and Sass!